This is gorgeous Sylvie. I love the image, papers and a fabulous layout. I'm always jealous when I visit you, Sylvie - looks like you could just hop over and go for a swim!! One day we will own a property with an ocean view! 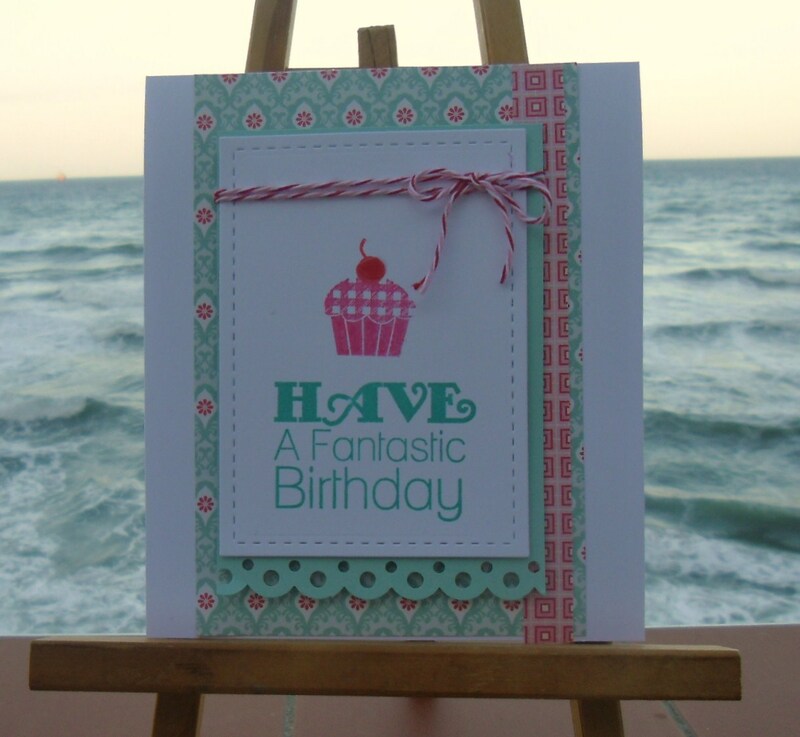 Your card is fab! Great layout and love the colours! This is a real beauty Sylvie .. .. truly scrumptious!! LOL!!! Great colour combo and love the image and sentiment. Looks like an interesting challene site Sylvie. Perfect take on this weeks song.